Each year The College of Podiatry runs an annual 'Feet for Life' month campaign. This is done to raise awareness of podiatry and highlighting how podiatrists are the experts in keeping feet healthy and pain free. 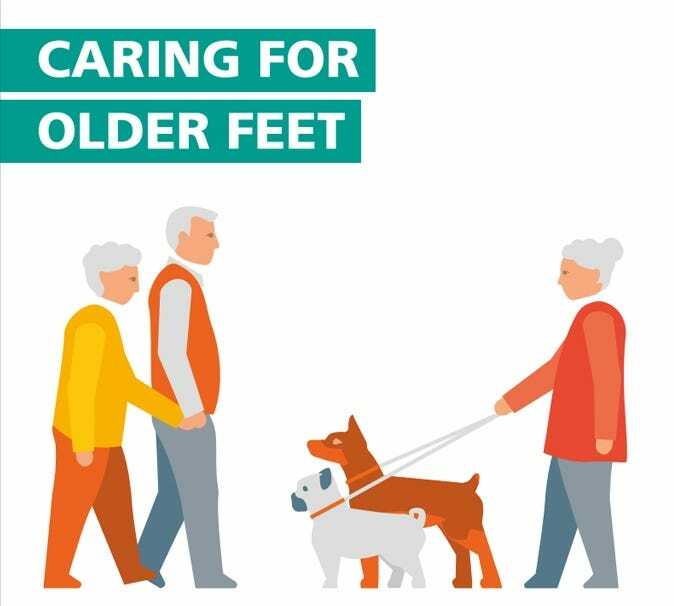 This year's theme is 'From Birth to Beyond' to highlight the importance of caring for your feet, and the key foot health issues to be aware of at all life stages. As we get older, it is important to implement good foot care to stay active. From around the age of 55, feet can naturally develop problems due to years of daily wear and tear, and because skin loses its elasticity and starts to become thin. • Keep toenails short as nails that become too long can press against the end of shoes and cause soreness, and even infection and ulceration. • Check your feet regularly, daily if necessary, and moisturise (but not between the toes) to keep them supple as feet lose their natural oils as they age and nails can become brittle. • Keep feet warm by wearing warm socks or stockings. Avoid anything too tight which may restrict circulation or cramp toes. • Stay active and on the move as this tones up muscles, helps to strengthen arches and stimulates blood circulation. • Ensure you choose well-fitting, supportive footwear. For more information about the 'Feet for Life - From Birth to Beyond' 2017 campaign, please visit The College of Podiatry website here.